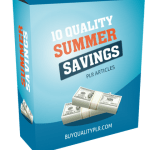 In This PLR Report You’ll Get How to Stretch Your Dollar through the Holidays Report With Private Label Rights To Help You Dominate the Dollar through the Holidays Market Which Is A Highly Profitable And In-demand Niche. 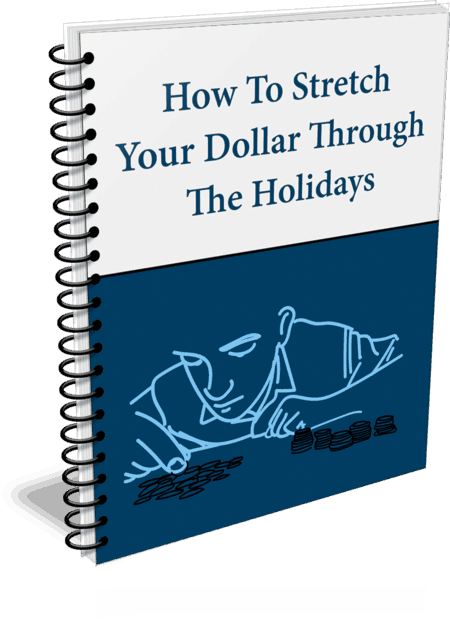 The How to Stretch Your Dollar through the Holidays in Yourself PLR Report contents is available in Text file format and can be downloaded instantly after purchase. What Can You Do How to Stretch Your Dollar through the Holidays PLR? And if you drive to your family, it will mean gas and possibly long hours on the road in bad weather. Your travel-related expenses might also involve pet care, such as in-home pet sitting or boarding. Then there are the food and drink pressures. Everyone loves seasonal treats, but the excess doesn’t just burst your belt, but your budget too. Many people host meals at their homes. They also participate in a range of social activities with food as the main focus of attention, such as church suppers and potlucks. Some people feel like they can’t live without decadent desserts and candy, while others like to include alcohol as an essential part of their celebrations. All of these items can make the cost of your shopping list soar. Then there are the activities. With the children out of school for a couple of weeks, they need to be entertained. This can be tough if you don’t get a lot of days off work yourself. In this case, you would need to sort out childcare for the days they are out of school and all the adults are work. No celebration would be complete without decorations. The trouble is, they can be very expensive if you opt for store-bought. The good news is that a few simple school and art and craft supplies can help you and the children decorate your home for pennies on the dollar compared to ready-made. These can also be fun projects to keep the entire family occupied if the weather outside is bad, as you make all the holiday preparations at home. Finally, there are the gifts to consider. This is where people are likely to overspend if they don’t have a list and a plan on how to pay for the presents. The last thing you want is to run up credit card bills and get stuck with interest payments long after the holiday is over. The secret to saving at the holidays is to be as organized as possible in the months and weeks running up to Christmas, Chanukah, Kwanzaa and so on. Making the most of the harvest season starting in September and October can help you save on food. Buying pantry items for all your baking, and purchasing gifts that are perfect for the people on your list as and when you see them, can spread out the cost of the holidays over several months, not cram it all into December. Let’s start with a look at how to save on all your holiday travel costs. If you are going to travel to family and friends, or take a winter vacation, the secret to getting the best deals is to plan ahead. The earlier you book, the better chance you have of getting a good price on the flights you really want rather than the ones that are left over. Make a list of every person traveling. Then make a list of the dates you will be leaving and returning. See if you can give yourself a bit of leeway, because being flexible can lead to big savings. Also check off all airports that are good options for your location. One might be further away from your house, but have cheaper flights and perhaps even easy public transportation so you don’t have to spend a fortune getting to the airport or parking at the airport while you are away. There are a range of sites that offer good airfares, and some also have affordable, all-inclusive package deals with flight, hotel (for some or all of your stay), car rental, and entrance fees to popular attractions. Some people swear by Priceline to get big discounts, while others use Expedia or Travelocity to book their packages. Some travel experts recommend that you purchase flights at 1 AM on a Wednesday to catch any remaining discounted fares from Monday and Tuesday. Bring snacks with you to avoid the expense of costly airport food. Remember not to carry large bottles of water or full stainless steel water bottles in your carry-on luggage, as they can be confiscated by security. Wait until you get past security to fill up. In terms of accommodation, your relatives might have room to put you up, or you would need a hotel or motel (preferably with a kitchenette) so you could be more independent – especially if you have younger children. Another good option might be an Airbnb property near your family, if possible. This could give you some space and privacy even as you are spending time away from home. Be sure to read the sleeping specifications and the fine print. Don’t take your lively toddlers to a property full of expensive antiques, for example. Depending on where you are staying and where your family live, you may or may not need a car rental to get back and forth. In terms of airport transfers, some hotels and motels have a free courtesy bus. Taxis, Uber or Lyft might be an option, but expect them to be very busy at the holidays, and the costs can all start to add up. Finally, travel insurance is a good idea in case your plans change at the last minute for any reason, such as illness or injury. In most cases, you will not lose the price of the trip; you would just have a rebooking fee to pay and would have to rebook within a year. Make sure you read the fine print on your airline seats, though, and on the policy. If you are driving to you relatives’ houses for the holiday, you will need to budget for gas and possibly accommodation. If you live in the North, be sure to also winterize the car, put snow chains on and antifreeze in, and so on. Pack everything you would need in the event that you got stranded in bad weather — it does happen. Essentials include water, food and blankets. In the case of travel, it is best to pay for everything on a credit card because you will often get additional insurance and other forms of consumer protection. If you use a credit card that gives you cash back, air miles, or money back through the Upromise program for college savings, these can help make your trip more affordable. Let’s look next at the cost of food and drink. Food and drink can be one of the largest line items on your budget, especially if you are traveling or tend to have a very lively social schedule. If you are traveling, each family member will need three meals a day plus snacks and water/beverages. Then there are the holiday meal items you are likely to contribute to as a guest in someone’s home. Use stainless water bottles for the family. If you are a member of a warehouse club such as Costco, go shopping as soon as you arrive at your destination to get the basics your family needs most and stock the kitchen for your stay. The warehouses often have gift baskets and luxury food items especially for the holidays. These can make a great gift and/or contribution to the holiday meal. Some stores will also stock alcohol, so you can buy beer and wine for a fraction of what you would pay in the supermarket or a liquor store. If you are driving to your destination, load up the car with your family favorites. If you are staying at home, chances are you will be hosting a festive meal yourself. Finalize the guest list as far as possible beforehand, but add a few place settings just in case. Include a vegan option as well so you can cater to all tastes. 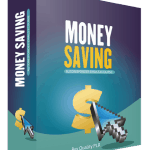 How to Purchase This Stretch Your Dollar through the Holidays PLR Report? 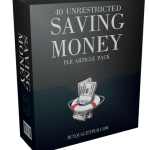 We will only be selling 50 copies on this How to Stretch Your Dollar through the Holidays PLR report, so don’t waste any time and grab your PLR license while it’s still available for sale.